Forget You Know Me is One Unforgettable Novel! Put those two into focus and add a masked intruder who shuts down a video chat between old friends at the start of the novel, and you have the crux of Strawser’s latest domestic suspense thriller, Forget You Know Me. It’s a marvel just how effortlessly Strawser delivers the discovery of details that shape the course of action taken by her characters once the masked intruder sets the story in motion. The circumstances in the aftermath of the incident pile up, mostly with foreboding effect that cast doubt about the relationships the characters have with each other, as well as both their physical and emotional well-being. Soon, we’re whisked away in the streams of consciousness that undoubtedly will converge in one raging confluence, the force of which none of them seemingly can withstand. Told through the point of view of the three primary characters (a husband and wife, and the wife’s oldest best friend), the story churns through their interaction and decisions as the trio impact each other and the lives of the few others who are closest to them. The flaws and poor choices of the trio deepen the suspense that continues to whirlpool around the masked intruder. As the plot thickens and the identity of the masked intruder looms increasingly more ominous, the characters flesh out right in front of us until the unputdownable suspense reaches a collision course that capsizes with shock. Forget You Know Me is one unforgettable torrent of a a read…Brava, Jessica! Rose Island author Terry Chambers (center) is flanked by Hydra Publications authors Robb Hoff (left) and Bill Noel (right) at the 2018 Kentucky Book Festival. Rose Island by Terry Chambers is one thrilling historical ride of a read! Bookended in the present by an ancient gold coin wrought from the legend of the Welsh Prince Madoc, the historical novel Rose Island does much more than just tell the tale of “Summer 1936” at a bygone resort on the outskirts of Louisville, Kentucky. Author Terry Chambers stamps her own mark on the bullion treasure of Ohio River history, myth, and legend that surrounds the “Moon-Eyed People” of Welsh descent, who perhaps inhabited the region centuries before Columbus ever set sail. Her paranormal intrusion of this ancient legend energizes a story that is enhanced further by the likes of the “Sleeping Prophet,” Edgar Cayce, the mordaciously murderous Ku Klux Klan villain, D.C. Stephenson, and the hauntingly mysterious “Lady in Blue,” of Louisville’s Seelbach Hotel, where famed author F. Scott Fitzgerald found inspiration for The Great Gatsby. Chambers perfectly portrays her characters in the milieu of their time, in what turns out to be the final fling for the Rose Island resort before the Ohio River flood of 1937 obliterated it for keeps. The drama pivots on the relationship between betrothed up-and-comers Claire and Bill. Once turmoil turns up in spades, the story gets spiked by violent twists that shock and surprise until myth and legend restore the order of fate in a way that is as sweet as it is sad. Check out Rose Island if you’re ready for one great, big reading buzzZZZZZ! Order here. 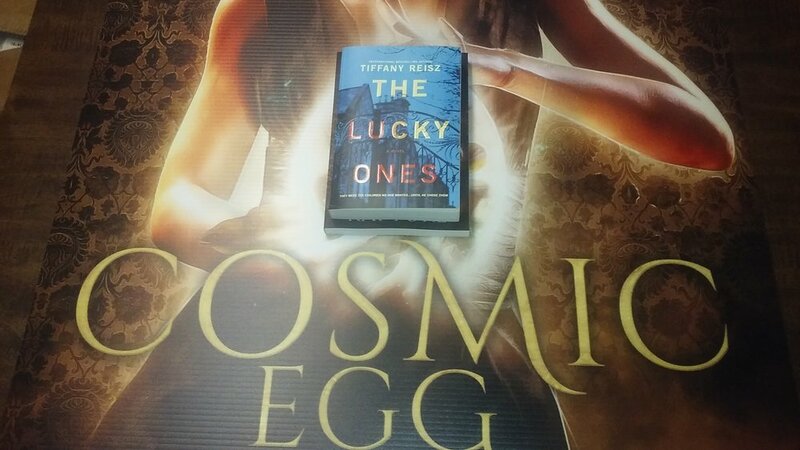 The Lucky Ones by Tiffany Reisz is an absorbingly suspenseful mystery perfect for beach reading – just as long as you don't mind a sand angel twisting into a corpse that claws itself free to expose some rather grisly truths! Several key scenes in this Gothically-suggestive novel actually do take place on a beach along a section of secluded Oregon coast. This Oregon setting and "The Dragon" house of retired neurosurgeon, Dr. Capello, furnish an eerily enchanting locale that is enhanced by Gothic motifs of unconventional medical procedures, a haunted – or at least haunting – house, isolation, confusion about reality, and eroticism. Reisz expertly shapes a very real and human mystery about past and potential murders that resonate with looming urgency as her marvelously textured story progresses. The characters Reisz develops all endear themselves to each other and the reader, which is quite an accomplishment considering the disturbing underpinnings of their natures and acts. Some of the character relationships involve sexual scenes that are as intriguing as they are deliciously depicted. From an ocean of endless rain. Muddy Waters (Otherwhere) is Otherweirdly Mesmerizing! When the going gets weird, Tessa Reddick gets going…that is, once she is conscripted into the Supernormal Investigations unit of the FBI upon release from her wrongful psychiatric confinement for killing her entire family of witches. From the outset of Muddy Waters (Otherwhere), author Sara O. Thompson conjures supernatural thrills that range from grisly and trippy to deranged and dazzling. Her witchy heroine hurtles herself through a first-person narration that is steeped in the otherworldliness of the Otherwhere realm where all manner of ‘supernormal’ entities dwell. Scenes shift back through “The Rift” between worlds to the landscape of a contemporary Louisville, Kentucky that teeters at the cusp of hellish dystopia infused with black magic. The novel stages a backdrop of political and religious intrigue that complicates the quest of Special Agent Reddick both to learn the truth about how her family was murdered and solve increasingly bizarre murders before it’s too late for all of humanity. Despite the often violent and graphic story, Thompson also weaves humor and hilarity throughout this grimoire memoir in which the pages almost seem to turn themselves! 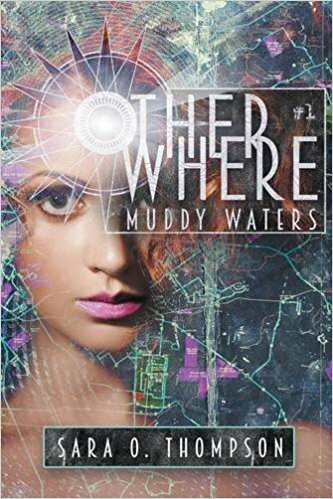 Online ordering of Muddy Water (Otherwhere) is available through Amazon.com. Click here. Thompson is listed as an attending author for the Books in Bourbon Country author signing event March 31 at the Hyatt Regency in downtown Louisville. Click here for more information about event. A Dress the Color of the Sky is a stunning debut! Jennifer Irwin’s stunning debut novel, A Dress the Color of the Sky, poignantly portrays Prudence Aldrich (Prue) in her travails and triumphs throughout the odyssey of her volatile life. In Prue’s case, much of the conflict thrust upon her is through no fault of her own, like the princess in the Donkeyskin fairy tale from which the book title is drawn. Her sheer physical appeal to men puts her in situations from adolescence forward in which she is too often victimized, but she also contributes to her emotional deterioration in many episodes of her life through her own devices. Prue’s story is framed between her past and her present. It starts with an unsettling session with her shrink then launches into a ‘mile-high’ introduction of her en route to rehab for sexual addiction at Serenity Hills. The first-person account then toggles between her present rehab and her past upheaval that began with an unsettled childhood exacerbated by her wayward, divorced parents. Only when Prue’s past and present converge with the completion of her rehab does the future unfold its promise for her renewed self. She reenters the world at-large with enhanced self-awareness and hope for truer love and happiness in the stripped-bare identity of her new ‘donkeyskin’. Prue’s character is lovingly developed throughout the novel. She is endearing, intelligent, and sometimes hilarious, but she also at times seems vulnerable to a fault and afflicted to a disturbing degree. Despite her shortcomings and indiscretions, Prue always emerges personable, embraceable, and resolute so that her inner beauty radiates above all else, especially with regard to the son she adores and her eternal optimism. The novel is remarkably crafted in understated depth and synergy of past, present, and future. The seamless transitions from past to present throughout the book never veer too far from the future toward which Prue unnervingly careens. This treatment of time in addition to the effortlessly intimate candor conveying Prue’s psyche makes A Dress the Color of the Sky reminiscent of Frank Conroy’s classic Stop-Time. The new beginning of the novel’s ending beckons a sequel to A Dress the Color of the Sky, whether as part of a series or stand-alone. The timeliness and poignancy of the book clamor for its adaptation to film. Until then, savor this novel on its own. It’s perfect for book clubs and includes a reading group study guide at the end. It’s also the most brilliantly moving novel I’ve read in a long time. Perhaps most technically intriguing in Valley of the Shaman is the presentation of paraphysical possibilities - such as how to “apport”. This scope of paranormal science-fiction is rendered with a competency and artfulness that rivals John Uri Lloyd in his late 19th-century tome, ETIDORHPA. 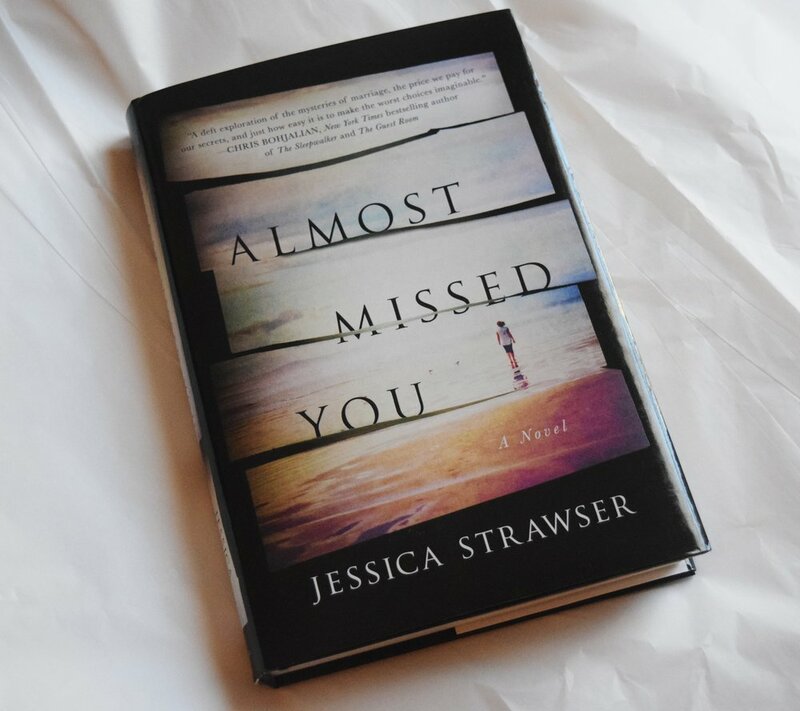 Jessica Strawser's Almost Missed You engages with much more than meets the eye! I first read Jessica Strawser's debut novel Almost Missed You soon after buying my copy at her Cincinnati book launch in March. Over the course of this year, I've read several reviews and author interviews that addressed various aspects of the book. The one recurring topic that still strikes me as the most intriguing is the psyche of the much-maligned antagonist of the novel, Finn. Playing Finn's advocate is a somewhat perilous proposition given the character's reprehensible action at the outset of the novel, his flawed decisions afterwards, and the secrecy of his unspoken past. It's easy to understand why readers would want to vilify Finn, especially those readers with affinity for marriage and family. It's impossible to fathom Finn's behavior, much less condone it. But as the story progresses and the domestic-suspense plot thickens, a mirror moment is reached where the animosity toward Finn should shift with the revelation of the esence of the story itself. Without spoiling this scene, I will say that it unfolds in the next chapter after the actual page-number midpoint of the book. It's just a seven-page chapter, but it's the poignant critical mass of Almost Missed You. Even though the scene doesn't explain or justify Finn's actions, it does portray him as a character filled with heart and soul. Finn clearly was a young man who serendipitously found the love of his life. Together, he and his soulmate seemed destined to share the truest love. This soulmate destiny, however, didn't last. The aftermath that Finn faced illustrates how some emotional wounds don't necessarily always heal with time. In that respect, Finn is the real protagonist of Almost Missed You for me. While I certainly sympathize with Violet for the turmoil she endures because of the imbalanced Finn, I empathize with Finn for the anguish he's survived. Such character depth coupled with the pace of the book helped make Almost Missed You my favorite novel published in 2017. If you've almost missed reading it, it's not too late. Read more about Almost Missed You at JessicaStrawser.com. 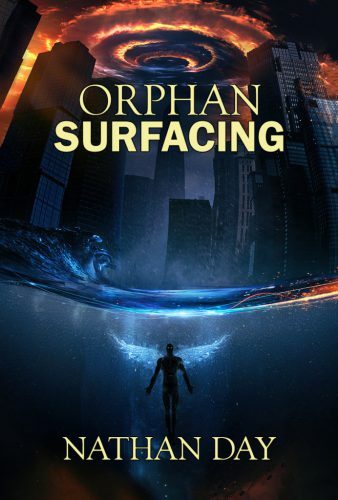 On an epic stage every bit as mesmerizing as its cover, Orphan: Surfacing chronicles spiritual warfare at its most personal and universal levels. The Death of God reverberates through the lives of characters mortal and divine with chilling consequences as angelic and demonic forces wage an End Times-styled Holy War that is launched by a group of human agitators determined to rid mankind of the influence of supernatural forces. Author Nathan Day has crafted an odyssey of Christian horror across a dystopian landscape where divinity is more emphatically human than good or evil. I highly recommend this engaging read and foresee even more marvel in the future from Day with the fulfillment of the Orphan Saga. For more information about Orphan: Surfacing, visit publisher Seventh Star Press. Timely and uplifting, Love from the Barricade by Ashley Jean Granillo is superb! Love from the Barricade portrays the growth of potentially ‘skugly’ boyband fangirl Aijae into a ‘gorgeous’ young woman who must mosh her way through her chosen music scene to embrace the destiny of love and fulfillment that she craves. Through a montage of entries that span more than a decade, the first-person account of Aijae (pronounced AJ) teems with texture that enlivens the characters and scenes of the novel. I enjoyed traveling alongside Aijae as she fought herself and others to reach the barricade between the musicians she idolizes and the throng from which she seeks to distinguish herself. In the process, Aijae must also face another kind of barricade that not only separates her from her family, her friends, and her Mexican heritage, but even more dramatically, her imagined self from the emerging music journalist who wants to take center stage in her own life. Ashley Jean Granillo has crafted a superbly readable novel. Her nimble negotiation of Aijae’s internal and external landscapes delivers sting when necessary and soothes as suited. She has also quite seamlessly added a refrain about writing into her novelized mix that engaged the writer in me. I wholeheartedly recommend this novel for a variety of readers, whether you like coming-of-age stories, accounts about music scenes, or works more literary in scope. Read more about Love from the Barricade at AshleyJeanGranillo.com. Once again, paranormal investigators Jacob and Jenny Floyd raise the dead in their latest literary conjuring. Fans of the Floyds' Louisville’s Strange and Unusual Haunts will find that Kentucky’s Haunted Mansions expands the terrain previously covered by the husband and wife tandem. Their latest traverses the Commonwealth, highlighting Kentucky history, antebellum architecture, and – oh, yes – lots of compelling spooky accounts of the inexplicable. Creatives will find a treasure trove of anomalies and details in Kentucky’s Haunted Mansions that evoke inspiration of the paranormal variety. From the Southgate House music hall in Newport and Phillips’ Folly in Maysville to the Hunt-Morgan House in historic Lexington and the Whitehaven Welcome Center in Paducah, the spirits and phantoms abound in unique atmospheres energized by the Genius Loci of each setting. 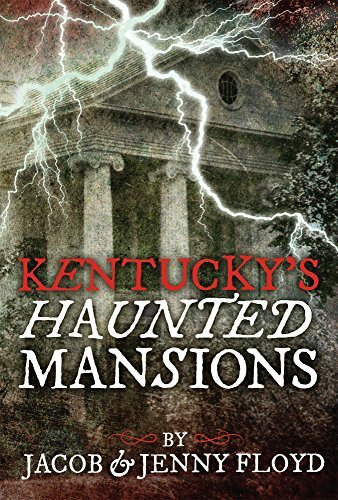 With the casual narrative of a personal guide, Kentucky’s Haunted Mansions will transport readers to other times and places where the possibilities are limited only by imagination. Kentucky's Haunted Mansions is published by Seventh Star Press. Ordering information is linked here.